We all do it: save that last bit of string in case we need it in the future; buy a new gadget and keep the old one for emergencies; store up extra provisions “in case,” and cram our cupboards, houses, and garages full of things that we may never use. We’re not good at letting go. I love praying for other people, but I wish I had the courage to be truthful. When I get prayer requests like: “Pray for healing for my mother who is 92 and has cancer, needs a heart transplant, and now her kidneys are failing;” “Pray for my son who has bone cancer. He’s already lost a lung and been through chemo twice. This time it’s not working and he’s in a coma”—I wish I could be honest. I wish I could explain that true healing will never be possible on this earth. We don’t belong here. It’s not our home. We’re merely passing through. “We are strangers and pilgrims on the earth.” Hebrews 11:13. We are all in the process of dying. We don’t belong here. We need to be willing to let go. But I’m a coward. So the next time I get a message: “Pray for my sister who has had a liver transplant and now both her kidneys are failing from radiation therapy,” I will pray. I will pray because God is a God of miracles. He holds our lives in His hands and He knows the number of days it will take us to pass through this land on the way home. I don’t know…so I must pray. The Golden Gate Bridge may be in California, USA, but Scotland has its own set of Golden Gates at Benmore Gardens just outside of Dunoon. They date back to 1872, and were installed as entrance gates to Benmore House, a mansion built in 1850, by John Lamont who died before the mansion was completed. Benmore Gardens continues to draw tourists. Those who made the 120-acre grounds possible, including James Piers Patrick who planted “Redwood Avenue” with giant sequoias in 1863—are all dead. Benmore House and gardens have undergone extensive restoration, expanding, and improvement over the years. Even the Golden Gates have been refurbished. Nothing on this earth is lasting. Everything gets old, wears out, rusts, crumbles, dies, and is destroyed. It’s wonderful and amazing when folks like the Benmore Garden benefactors leave behind a blessing for following generations. But nothing we leave behind on this earth—not even remarkable golden gates, artwork, or writing—can compare to the riches of God in Christ Jesus in Heaven. And we get to keep them forever. There are no easy answers for why bad things happen to good people, and why a loving God allows them to happen. True or not, in the center of a storm of pain, hardship, and suffering – telling someone that God created a perfect world, which was ruined by sin, and that God never intended bad to enter His perfect creation is not much comfort. Action to help the person is needed more than all the glib clichés one can deliver. Please, I welcome your prayers, but the following is Not a plea for sympathy. When my hip pain started a few years ago, I ignored it. I declared stoutly, “I don’t need to go to the doctor. Even if an x-ray shows a problem, I will never let anyone cut me open. So why go?” So I exercised, ran, and prayed the pain away. I was a Texan, after all, and just like my character Texas Miz Mike in my mystery-romance-suspense “Bridge” series, Texans stand up to crisis. They don’t back down even from rattlesnakes. Prayer works. From the time I was a new Christian and God removed my warts, to the time my son was scheduled to have a metal rod inserted in his spine and God healed him instead, Jesus is the same yesterday, today, and forever – and Jesus heals. Prayer works. But sometimes we don’t get the answer we want or expect. Sometimes God answers “No.” Sometimes He answers “Wait.” For me this time, God’s answer was “NO.” For whatever reason, God did not heal me and I became increasingly worse. By worse, I am on crutches. I can’t open my mouth to take a bite of food without throwing the utensil down and hollering in pain. Sneezing, yawning, coughing – the pain is so intense that it would knock down an elephant. Fortunately, I’m a Texan. The MRI showed a “huge” bulging disc in my spine that presses directly into the nerve. Instead of my right hip, the pain has spread to both hips and makes it impossible for me to drive because I can’t lift my foot and press down on the clutch. Why do I have this pain? Why has God not healed me? I don’t know. I do know that the Bible says to give thanks in everything, because this is the will of God for me in Christ Jesus. So I give thanks. I know that everything works together for good to those who love the Lord. Everything. How is this horrific pain working together for my good? I don’t know exactly, but I have an idea. No fear. The greatest fear a person faces in life is death. Once that fear is eliminated – there’s nothing to fear. I lost my fear of death when my 37-year-old son died in a plane crash four years ago. He’s in Heaven and I will get to see him again when I get there. Everyone must walk through the valley of the shadow of death to get to Heaven. But shadows aren’t real. They can’t hurt. Shadows are an illusion. No fear. However, I love mobility. I want to walk, run, swim, climb mountains – keep moving. Therefore…I was determined that no doctor, no surgeon was ever going to touch my spine. Until…the pain. It took severe pain to grow me past the fear of having surgery. My surgery is scheduled for next week and I would be jumping in joy – if jumping didn’t hurt so much and if I could lift my feet. I am thrilled. I am totally unafraid and totally ready to surrender my life, health, and spine to whatever surgeon God provides. Trusting God totally and totally without fear. I can’t answer the question of why bad things happen, or why Jesus didn’t heal me this time as He has in the past. Mysteries belong to God, even though I write them in books. But this I know, pain has pushed me to grow beyond fear. Totally. When I was 12, my spooky horse Allie jumped over a ditch to the road. His shadow hit the red clay dirt and he spooked. He leaped sideways bucking, threw me off, and ran home. Allie was afraid of shadows. He thought shadows were real. He thought shadows would hurt him. Because people know I’m a Christian, I often get prayer requests. I’m thrilled to pray for others and I rejoice when God answers their prayers. But some requests are impossible for God to fulfill because they are not within His plan. We plant “dead” seeds and marvel when bright, new, healthy plants spring up from the dead-looking kernels. God never wanted death to be a part of the world He created. He designed human bodies to heal and live forever. But when Adam and Eve sinned, death entered the world. Because of that, God sent His Son Jesus to die on the cross in our place so we could live forever. Jesus didn’t just die—He rose from the dead to prove to us that we also can live again. After we “die” to this world, we live forever in Heaven with Jesus in bright, new, healthy spiritual bodies that will never suffer death, illness, pain, suffering, or sorrow. But first—we must pass through the shadow. What I want to say, and should be honest enough to say is, “Sweetie, let go of your poor Momma. Let her go home to God. He will give her a new healthy body.” But I’ve discovered that folks who are afraid of shadows hate truth. Death is an adventure. An everlasting adventure. Between us and that lasting adventure is a shadow. All of us must pass through that shadow to get to our new life and claim our new body. Being naive, I expected tests to end when school did. They didn’t. Life is full of tests – and you don’t get a chance to write down the answers and change them if you decide they are wrong. You must live through your mistakes and learn from them. Thankfully, we have a study guide in the Bible when we remember to consult it and when we humble ourselves to follow the instructions. To stay in the UK with my husband, I had to pass a “Life in the UK Test.” Some of the questions would be easy to people who grew up in the UK and are not confused by the fact that Elizabeth I was succeeded by her cousin James I of England, Wales & Ireland, but his title was James VI in Scotland. They would know that the longest distance on the mainland between John O’Groats & Land’s End is 870 miles. Me? I had to study. What chance would there be of getting into Heaven if we had to answer questions first? What if we were ill and dying? We would be too sick to study and memorize enough answers to pass the test and make it into Heaven. What if it took a lot of money to get to Heaven? There are people in many parts of the world who live in stick huts with no indoor plumbing, running water, furniture, or appliances. They don’t even have enough food. How would they pay? What if it took being a champion on a sports team? How would people who are klutzy or handicapped get to Heaven? God loves us. He wants us to live with us forever. So He made the requirement easy; just believe in Jesus, the Son of God. 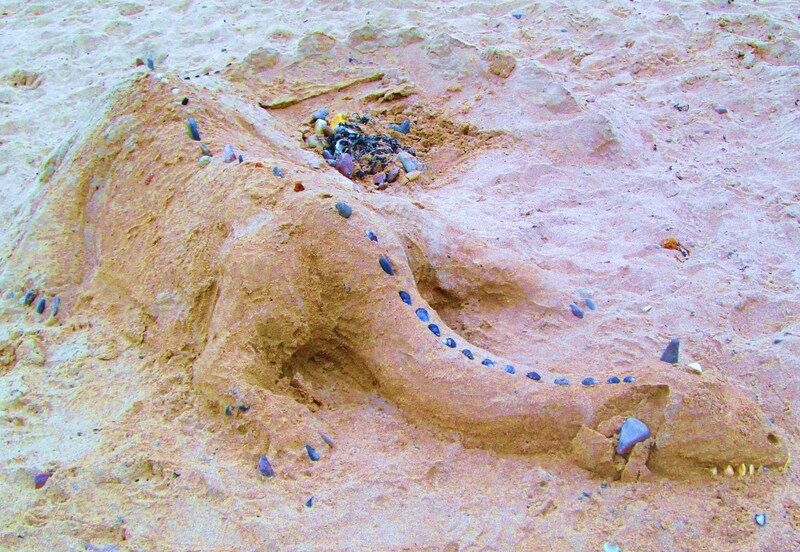 One of the most original creations in the Rosemarkie, Scotland sandcastle building contest was a dragon sandcastle, complete with teeth, claws and spines along the tail. Now, several weeks later – it is completely gone, just a memory written in sand. My son, USMC Major Luke Parker, spent a percentage of his adult life building dragon sandcastles. By that, I mean that he built a successful life here on earth. He purchased and restored two U.S. Army jeeps, bought a home, a new pickup truck with a sunroof, and had one of the only 19 remaining World War II German trainer airplanes, a Focke Wulf. When he flew his Focke Wulf home to glory on November 17, 2013 – he left sandcastles behind. Not even his beloved new pickup truck went to Heaven with him. Luke would have been 39 this year on August 19, 2015. Those of us who loved Luke carry the memory of his smile in our hearts. We remember him and his kind deeds toward other people…not the dragon sandcastles he built and left behind. When we invest our time and energy into acquiring better homes, better vehicles, fancier clothes, and more possessions – we are building with sand. When we stand before Jesus, sand will run out of our fingers and vanish and we will have nothing valuable to place at our Savior’s feet. While Luke did acquire a lot of possessions that got left behind, he also built enduring structures into the lives and hearts of those he knew. I have no doubt that while his dragon sandcastles down here slip away, Jesus has already told him, “Well done, faithful servant, and has accepted the gifts Luke placed at his Savior’s feet. Dragon sandcastles are but for a moment. The love of Jesus endures forever. This is the time of year in Fortrose-Rosemarkie, Scotland, when adult seagulls say goodbye to their young. Hearing the frantic, anxious calls of the abandoned youngsters rips my heart. The baby seagulls don’t understand why parents that have so lovingly cared for them suddenly leave and ignore their agonized cries. Big, fluffy, grey baby gulls walk along the edge of the water and sit on rooftops calling their absent parents. But this time, no matter how gut-wrenching the cries – the parents don’t respond. All parents experience the hurt and learn the benefits of goodbyes when their children are still young. Goodbyes are a part of sending children to school to learn, sending them to visit grandparents and friends, sending them to summer camps…sending them away to universities, jobs, and distant locations. Without the goodbyes, children would never grow into their full potential and learn God’s will for their lives. Goodbyes can be good – but they still hurt. The longest, hardest goodbye is when someone we love “dies.” It’s been nearly a year since my wonderful, talented son, USMC Major Luke Parker, “died” to this world. Perhaps my deep inner hurt and emptiness magnifies the anguished cries of the baby seagulls and makes me hypersensitive. 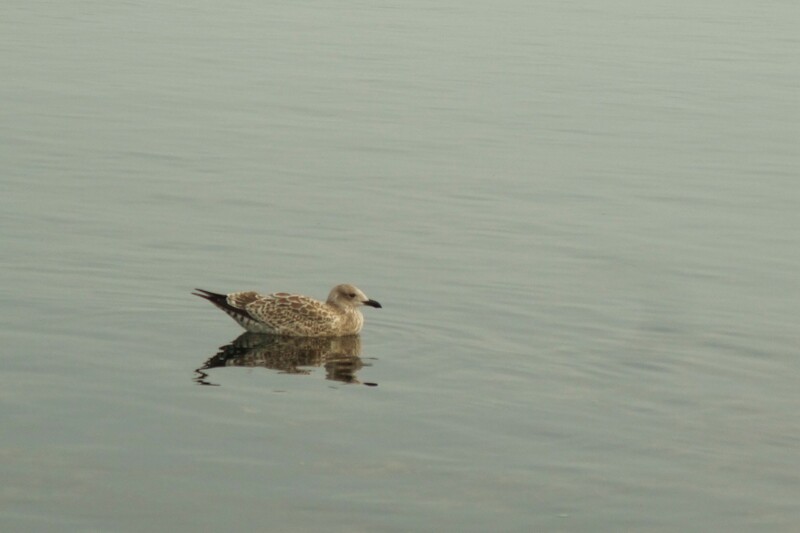 Everyone who has ever said goodbye to a loved one who departed from this world, however, has an advantage over those confused, lonely baby gulls. If we are Christians, we know that the separation is temporary. We will join our loved ones again in Heaven with Jesus lighting the way. What an awesome comfort! Death is not an end, it’s the doorway into eternity and the beginning of living a life without pain and loss. As for the gulls…they are forced to use the life skills they have been taught. They will pass them on to their youngsters. But will they ever see their parents again? I hope so. I really hope so. Mother’s Day – Don’t Leave the Kids Behind! The most exciting event of my life occurred on Mother’s Day when my son was four. Count Your Many Blessings, name them one by one rang out as the invitational hymn and Luke left my side, walked down the aisle, and asked Jesus to come into his heart. The magnitude of the decision he made 33 years ago is my peace and hope in a rest-of-my-life without him because it assures me that, just like the Jesus he served, Luke is in Heaven. This separation is painful – but temporary. Luke gave me a Bible for Christmas in 1992, when he was sixteen. He paid for it with earnings from his first job. Two years later, I gave him a Bible when he entered the U.S. Marine Corps. He carried his Bible with him for the rest of his life, including his six deployments to war zones, and read it nearly every day. Like the Bible he bought me, nearly every page is marked, underlined, or has notes written into the margins. I cherish both Bibles and keep them visible on my desk as constant reminders of how marvelously privileged and honored I was to have a son who walked in God’s Truth. When I look back to Luke’s childhood, I regret all the things I couldn’t buy for him because – as a single parent – I couldn’t afford them. I regret never having had enough money to take him to Disney Land or on a vacation. But what Luke and I did share is bigger and greater than all of my regrets combined: a love for Jesus Christ Who gave up His life on the cross for our sins so we can spend eternity with Him in a place where there is no death, sickness, dying, sorrow or tears. Wow! Luke’s plane crash on Nov. 17, 2013, wasn’t the end – it is the beginning. You mothers reading this Mother’s Day blog may suffer the same insecurities that I did as a parent if your finances aren’t long enough to stretch to meet expenses. Don’t fret. More than things you can buy for them, your children need your time. More than expensive vacations and trips, your children need your love. One of Luke’s most cherished memories was living in poverty in the Nevada Desert in a cabin with no electricity, no running water, and an outhouse for a bathroom. Luke loved it because he could have me – my time and love. Instead of running between two and three jobs to make ends meet, I was teaching him at “home” and spending every day and night with him. He mentioned that as a highlight of his life in every Mother’s Day card he sent, and in nearly every phone call. Don’t waste time and energy agonizing over what you can’t give your children. If you spend time and love on them and teach them about Jesus, you are a successful parent. The only thing we have here on earth that can follow us to heaven is our children. Make sure they know that Jesus is the Way, the Truth, and the Life. Don’t leave the kids behind! Because of severe ear infections when I was a child, whenever I hear something one way and another person hears it another way – I am almost always wrong. For example, I can’t tell the difference between Wales and whales. I almost never come up with the correct song lyrics until I see them in print. 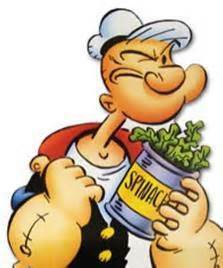 All my life, I thought that the Popeye cartoon featured a baby named “Sweet Pea” instead of SweePea, and Brutus instead of Bluto. I was totally amazed to discover that the mean non-charmer’s name was Bluto. Nor can I sing. I can’t tell the difference between the way everyone else is singing and the way I’m singing. In elementary school, I was told that I could stand on stage and “sing” with the rest of my class as long as I opened and closed my mouth without making a sound. When I sing in church, I follow voices going up and down on certain words. 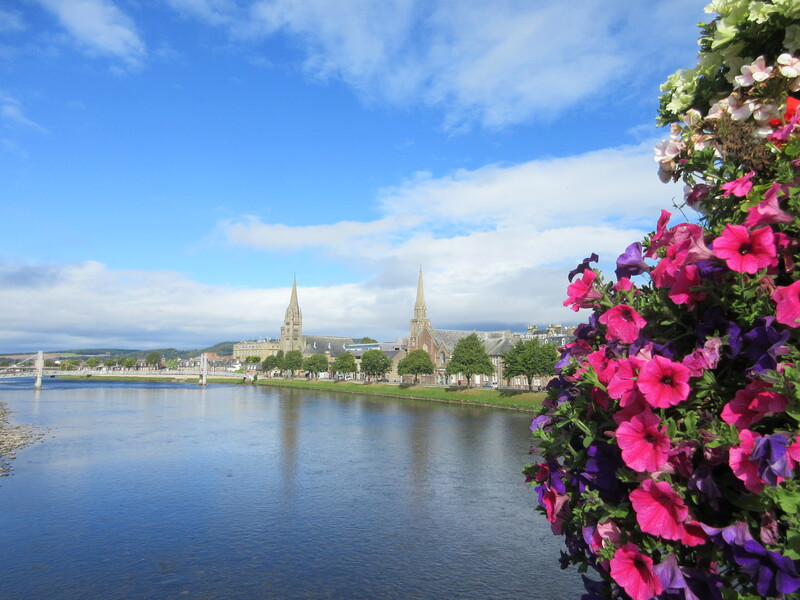 The music everyone else is following is lost to me, and if the words vary from what I have memorized with the tune (as is so often the case with the Scottish version of hymns), I can’t sing it at all. The only flat I understand is a tire or a piece of ground and sharp means that if I keep messing around with it, I’m gonna get cut. Recently, I realized what a blessing my faulty hearing is. It has made me more thankful that Jesus came into the world as a baby and grew to manhood, only to be nailed to the cross for my sins and the sins of the world. Before I was a Christian, I mocked the idea that one perfect, sinless Man would need to die for me – or anyone else. I didn’t want someone dying for me. I didn’t ask anyone to. But after I met Jesus in person and asked Him into my heart, spiritual blinders fell away and I realized the beautiful simplicity of God’s plan of salvation and why it is the only fair and just way of determining who goes to Heaven. If people had to sing their way into Heaven, I’d never make it. If they had to work their way into Heaven, it would exclude anyone who was born with mental or physical disabilities. If people had to achieve Heaven through knowledge, it would exclude people who never had the opportunity to get an education. If people could pay their way into Heaven, it would exclude the poor. Instead, Jesus is the Way, the Truth, and the Life. Anyone and everyone who asks Him into their hearts is saved and gets to go to heaven – whether they are young or old, rich or poor, whole or broken, talented or ordinary – and no matter what race or nationality they are. The ground at the cross is level. And fortunately, God hears prayers of the heart and spirit. One doesn’t need a certain accent, a certain formation of words, a certain tone of voice, for God to hear his or her prayer. He smiled at my prayers and answered them even when I used to say, “Our Father Who art in Heaven, hollowed be Your name. Besides precious memories, too few pictures, and a much-read and much-used Bible, all I had left of son USMC Major Luke Gaines Parker was the old hat. Now the hat is gone. It was ironic to still have Luke’s hat after he departed for Heaven at age 37. A hat should not last longer than the person wearing it – especially an old hat. I bought the bright blue wooly hat for Luke in the Great Basin Desert of Northern Nevada when he was eleven. He left it behind when he reported to the Marine Corps for basic training. Because it had been Luke’s hat, I kept it and wore it on cold, windy days – even though since it was a child’s hat, it was too small for me and kept popping off my head. Over the years, the hat became tolerant of me and relaxed enough to remain on my head. 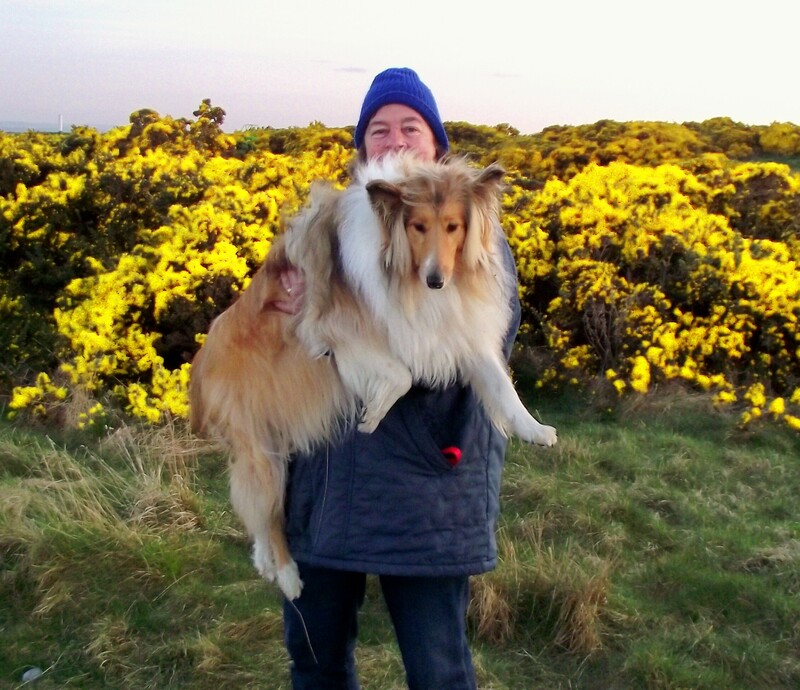 After I moved to Scotland, I wore the old hat nearly every day of the year – spring, “summer,” fall, and winter. Even in the height of “summer” it is still cool – often with a strong wind. The hat kept my hair from blowing across my face and getting tangled. Now the hat is gone. It vanished. I wish I could believe that Luke reached down from Heaven and reclaimed the hat as a sort of sign. He didn’t. Heaven is a perfect place with a perfect climate. Luke would have no need for his old blue hat. When a person dies, their spirit goes immediately to be with Jesus in Heaven – if they belong to Him. Jesus is alive, Luke is alive – but he didn’t come for the hat. I spent several days retracing walks and runs to look for the missing hat. Folks here in the Black Isle are honest and thoughtful. When they find someone’s property, they hang it on a fence post for the owner to find: shoes, socks, keys, dog whistles, shirts, hats, dog leashes. No bright blue wooly hat. Perhaps the hat fell out of my pocket on the rocks and washed into the sea. Perhaps it blew out of my pocket when I was running and someone who needed a winter hat took it. Actually, I’m glad that it vanished because it taught me to look into my heart for what’s left that’s really important. Everywhere I go, I see Luke’s smile. I remember the times he called me to sing a song he had just written. I still have cards and poems he sent me. When I look at his daughter’s face, I see his eyes and the bridge of his nose. 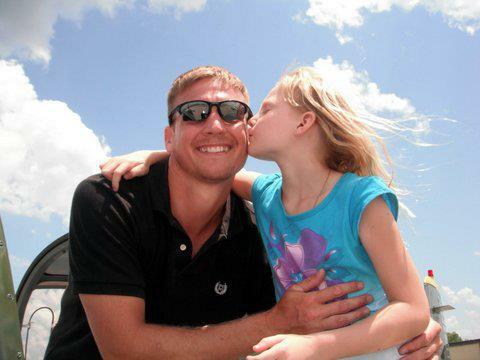 He lives on in precious memories, and in the life of his daughter. These things are important. The old blue hat? Well, it was just a hat. Every physical possession we have on this earth, no matter how valuable, will eventually wear out, get stolen, get lost, or disappear. Even the ones that we keep until we “die” will get left behind, just like Luke’s old hat when he went into basic training. No one leaves this earth for Heaven with a suitcase. Value your children, friends, family members, pets – everyone and everything that you love – now. Spend all the time with them you can and lavish all the love on them that you have to give. You can’t spoil anyone with too much love – but you can break their hearts with too little love. Build memories and hang on to them. Let old hats go.